Radon is a radioactive gas that has been found in homes all over the United States. You cannot see, smell, or taste radon. It comes from the natural breakdown of uranium in soil, rock, and water and gets into the air you breathe. When you breathe air containing radon, you increase your risk of getting lung cancer. The Surgeon General of the United States has warned that radon is the second leading cause of cancer in the United States today. Any home can have a radon problem. This means new and old homes, well-sealed and drafty homes, and homes with or without basements. EPA recommends that you take action to reduce your home’s indoor radon levels if your radon test result is 4 pCi/L or higher. Testing is the only way to find out what your home’s radon level is. You cannot predict levels based on state, local, and neighborhood radon measurements. Short-term and long-term radon test kits are available from the West Central Radon Information Center/Eau Claire County Health Department (715-839-4718) or various other local retail stores. 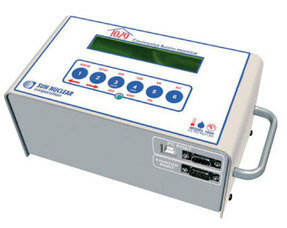 Hovland’s offers testing with a continuous radon monitor. If radon levels in your home are found to be high, contact Hovland’s for the installation of a radon mitigation system. Hovland’s provides mitigation systems that comply with the EPA’s Radon Mitigation Standards.